Weather You Have Lost Your Toyota Car Key and Don't Have a Spare, Your Key Is Broken or No Longer Functions or Simply Need a Spare Key, We Can Help Fast! We Make Keys For Cars On Spot For All Toyota Makes & Models Including, Chip Keys, Fob Keys, Smart Keys and Head Remote Keys. We Fix, Re Key and Replace Toyota Car Locks and Keys and Have Them In Stock, Including Car Door Lock, Trunk and Ignition Switch. 24/7 Mobile Service, Fast & Reliable Auto Locksmith Services In Las Vegas NV and Surrounding Area. Toyota is a Japanese automotive manufacturer headquartered in Toyota, Aichi, Japan. In March 2014 the multinational corporation consisted of 338,875 employees worldwide and, as of November 2014, is the twelfth-largest company in the world by revenue. Toyota was the largest automobile manufacturer in 2012 ahead of the Volkswagen Group and General Motors. In July of that year, the company reported the production of its 200-millionth vehicle. Toyota is the world's first automobile manufacturer to produce more than 10 million vehicles per year. 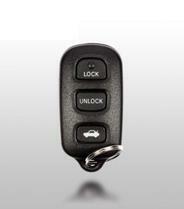 We Provide 24/7 Toyota/ Scion car locksmith services in Las Vegas NV and surrounding areas. 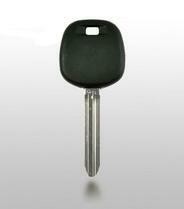 Our Toyota car locks and keys are from the best brands such as: Ilco, Strattec, Jet, JMA, Keyline, Blue Rocket. All of our products and services come with a 90 day warranty. We are here to help if you have lost your Toyota car key, need a duplicate car key, have a bent or broken car key or need programming for your Toyota key. 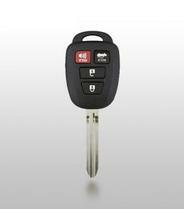 We carry all kind of Toyota & Scion keys, including; mechanical keys, transponder keys, fob keys, head remote keys, laser cut keys and remotes control. Lost Your Toyota Car Key? Need Scion Key Made? Call Us ! We Can Help. 24/7 lost Toyota key replacement, all models Toyota/ Scion keys made onsite fast, Toyota keys repair and program Toyota chip/ transponder keys. Quick and friendly service. We can fix, replace and install Toyota car locks, including; car door locks, trunk locks and ignition locks. We carry Toyota car locks (car door lock, trunk lock & ignition lock) for all Toyota/ Lexus & Scion models and have them in stock. - Toyota Avalon, Toyota Camry, Toyota Celica, Toyota Corolla, Toyota Corona, Toyota Cressida, Toyota Echo, Toyota FJ Crusier, Toyota Matrix, Toyota MR2, Toyota Paseo, Toyota Prius, Toyota Solara, Toyota Supra, Toyota Tercel, Toyota Venza, Toyota Yaris. - Toyota Trucks - Toyota 4 Runner, Toyota Highlander, Toyota Land Cruiser, Toyota Previa, Toyota Sequoia, Toyota Sienna, Toyota T100, Toyota Tacoma, Toyota Tundra. - Scion tC, Scion xA, Scion xB, Scion xD. Toyota & Scion chip keys made on site & key programming. 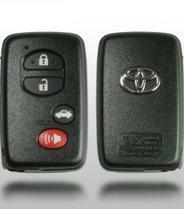 Remote head keys, flip out keys replaced for all Toyota & Scion makes & models. Toyota Avalon, Camry, Corolla, Highlander, Landcruiser, Prius, RAV-4, Runner, Venza, Sequoia. - 2007-2015. Toyota Sienna smart key replaced. 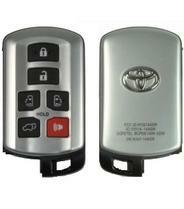 Wide selection of Toyota & Scion remotes control. 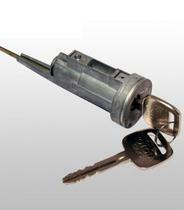 We carry replacement parts and key blanks and able to fix and replace Toyota & Scion car locks. Some Toyota vehicles Immobilizer systems Operate different. if you lose your last key to one of these vehicles the cost for new keys is really high. Why is that? It’s because Toyota didn't give anyone access to the ECU (the part in the car that stores the chip key data) through the standard diagnostic port. That means you can’t plug-in a diagnostic machine and simply add in keys like we can on the later models. the Toyota dealership itself usually will replace your ECU and charge you thousand off dollars, but we carry special hight quality tools that can generate a key from the ECU, and save you thousands off dollars! !